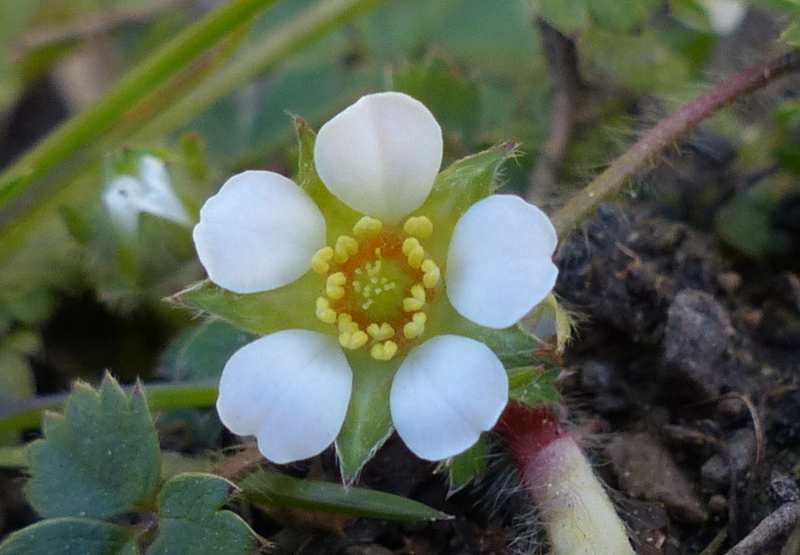 As the name suggests the Barren Strawberry doesn’t bear strawberries. 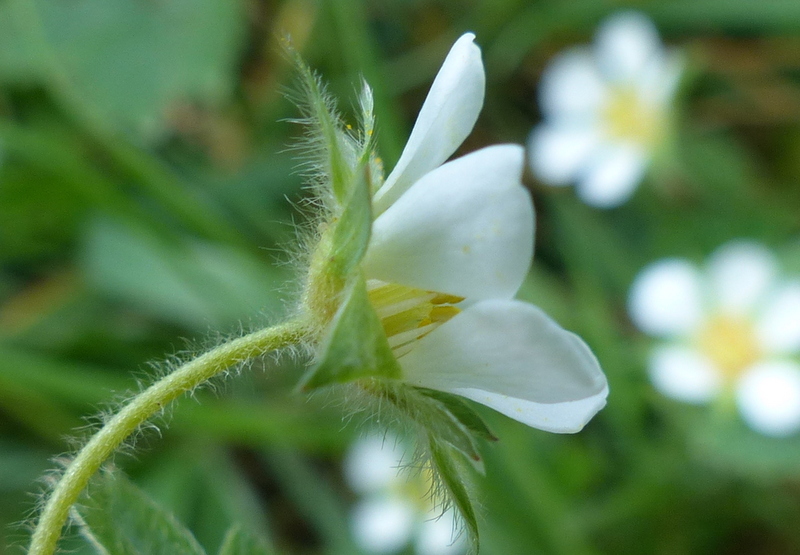 It belongs to a different genus of plants (Potentilla) to the true strawberries (Fragaria). 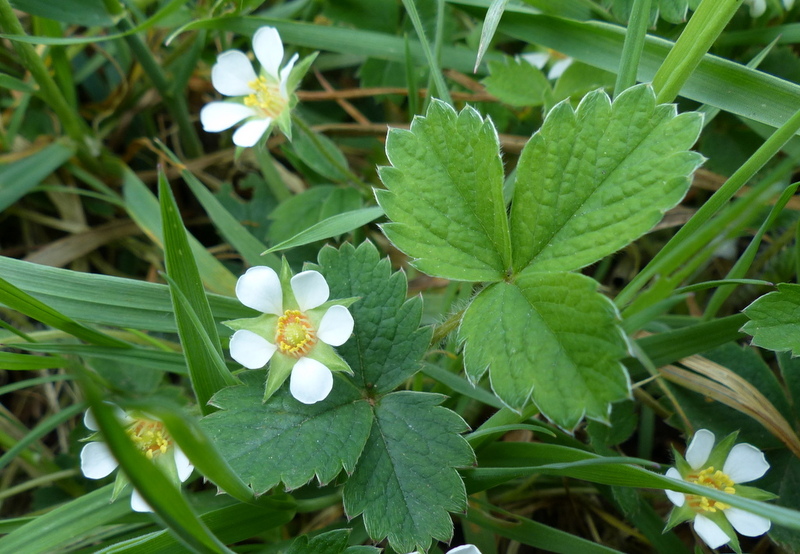 However it does look a lot like a strawberry so here are some differences. 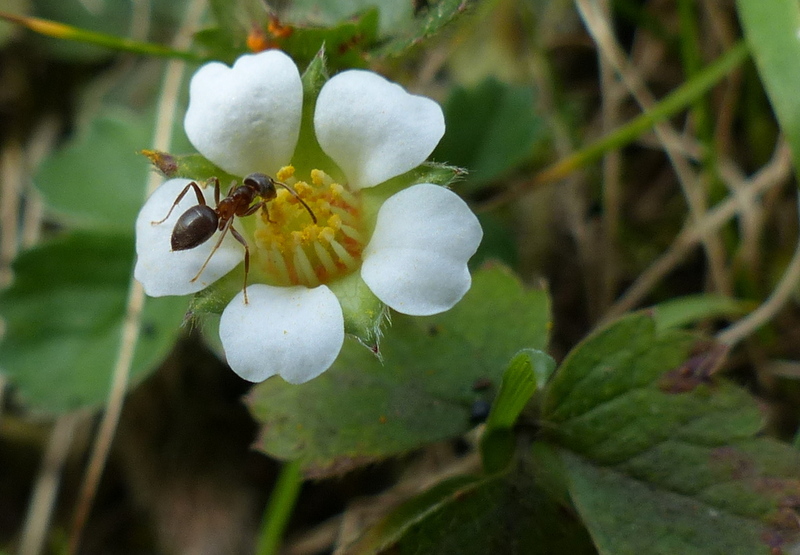 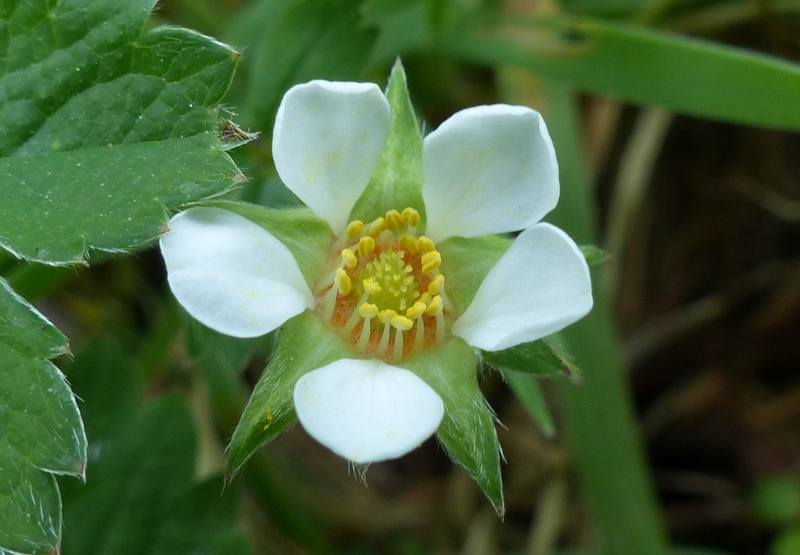 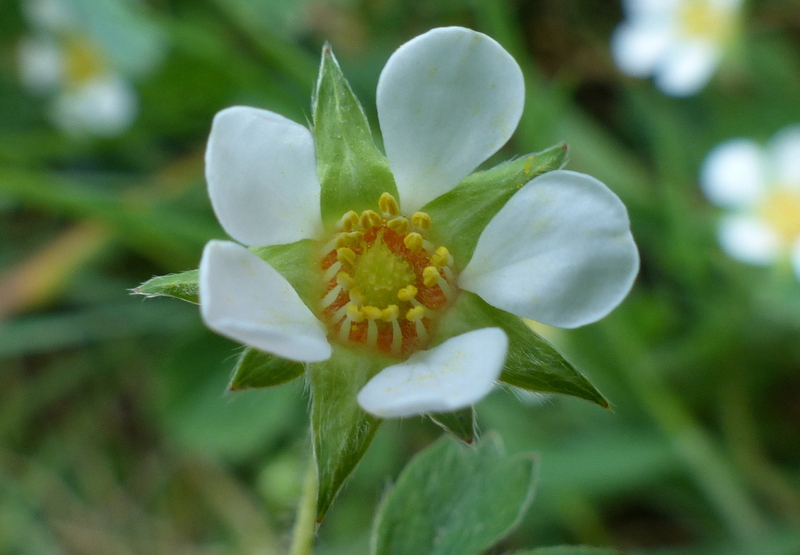 Below is a Barren Strawberry, note that it doesn’t have the yellow dome centre and that the petals are spaced wider apart. 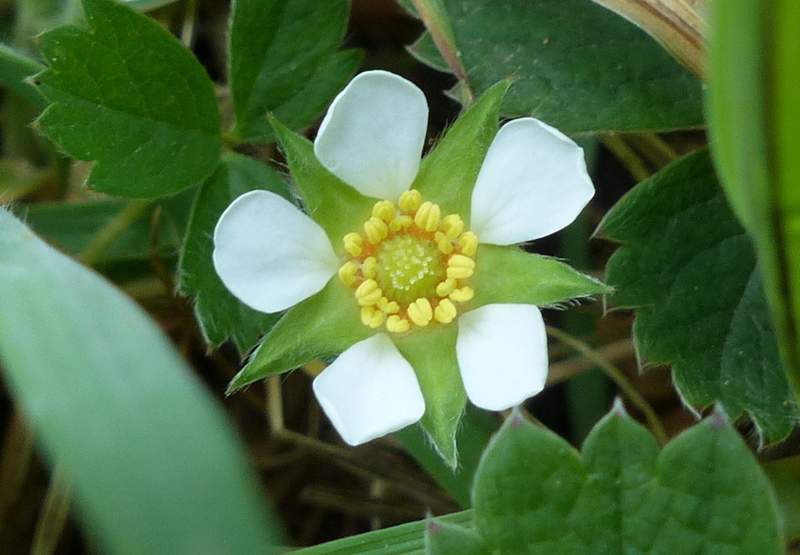 Another small difference between the two plants is that the tooth on the very end of the Barren Strawberry leaf is smaller than the teeth either side of it. 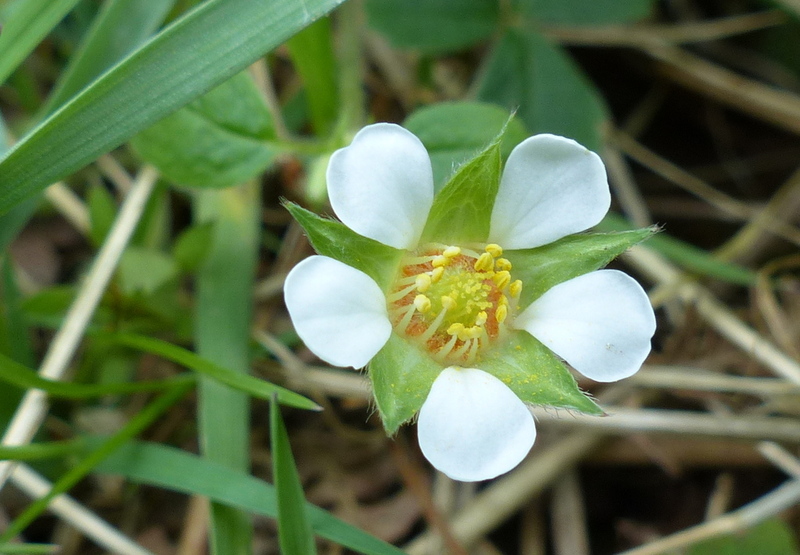 I don’t think that this is the most obvious difference but I have seen web sites that give this as the only difference and anyway it is true and useful when there are no flowers. 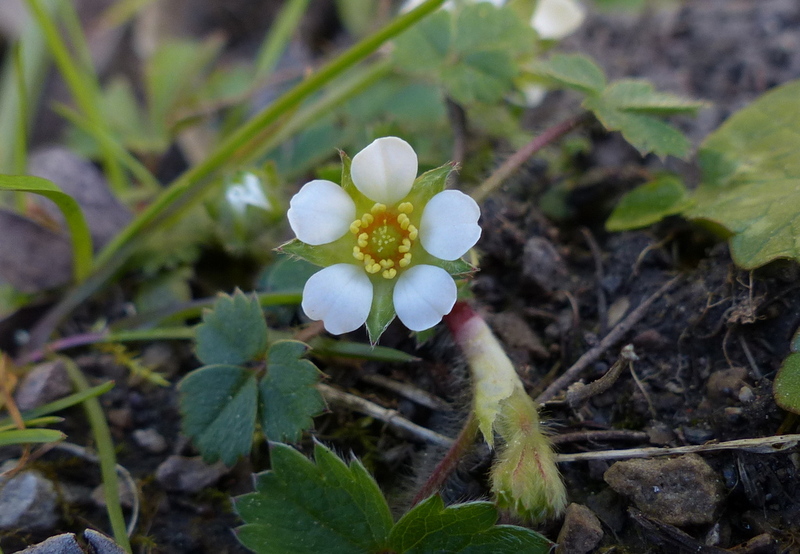 This flower appears a few weeks before the Wild Strawberry and I was seeing it last year in early March and then until May but I do find them flowering side by side sometimes. 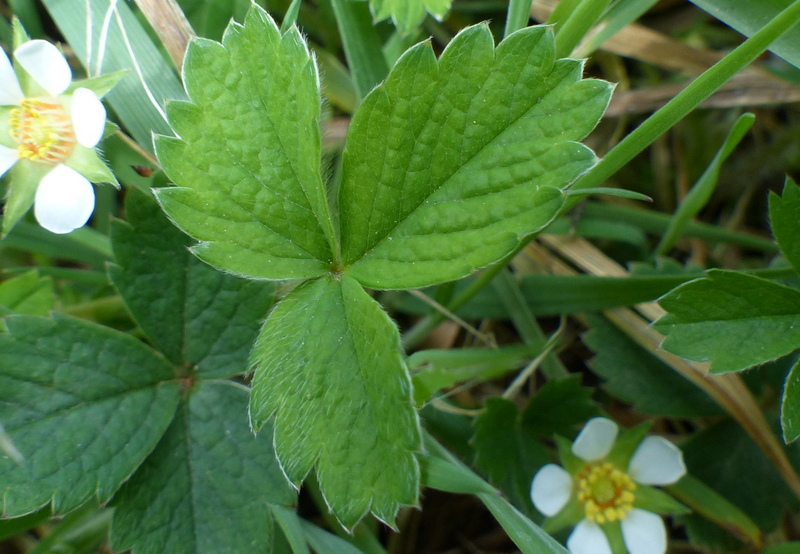 The leaf is very similar to the Wild Strawberry with the exception of that terminal tooth. 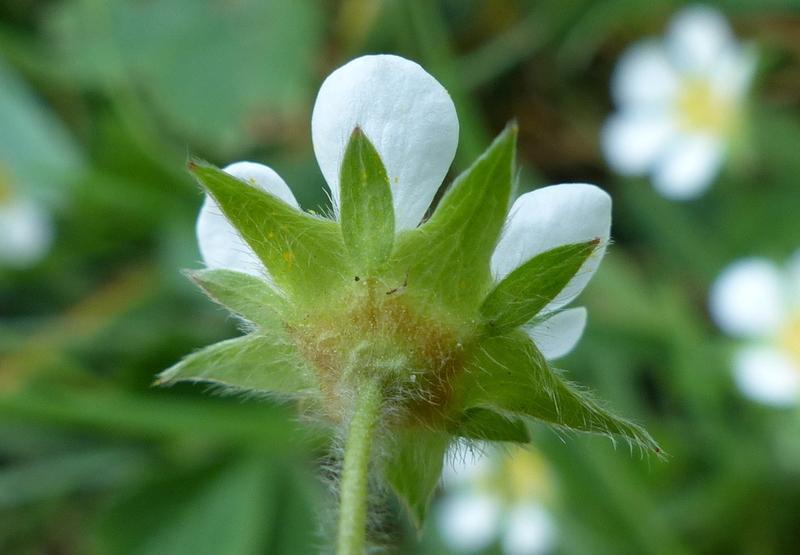 It is made up of three toothed leaflets, they are hairy and this gives them a matt look.